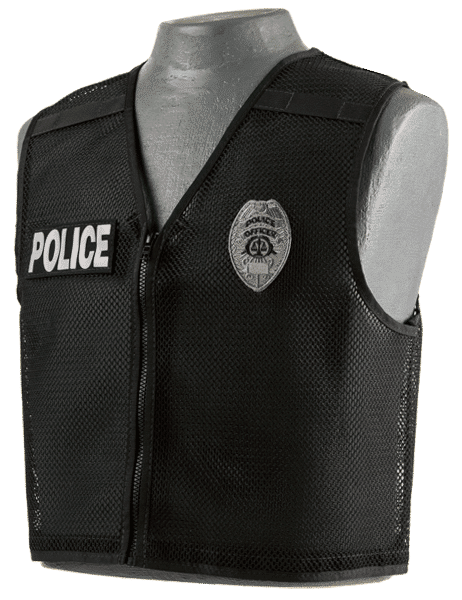 Cowell Tactical Identification Vests are worn by plain clothes, on call, and off duty personnel. Our tried and proven designs make for easy access to vital gear. Front and rear high profile identification ensures immediate recognition by the public, allied agencies, EMS, and on-scene news media. Our high quality vests bodies are made with durable polyester raschel mesh. Pockets are constructed from double layers of 1000 denier Cordura nylon and are available in a wide variety of color options. We also offer custom placard design at no additional cost. The right side of the RC350 features a steno/notepad, utility pocket, and small flashlight holder, as well as a small utility pocket on the chest. The left side accommodates a universal radio carrier and utility pocket. The price includes front and rear Identification Placards with your choice of lettering. The right side of the RC250 features a steno/notepad, FI card pouch, and small flashlight holder. The left side accommodates a universal radio pocket. The price includes front and rear Identification Placards with your choice of lettering. The RC150 offers high profile identification. The price includes front and rear Identification Placards with your choice of lettering. Pictured is our standard size 2×5” front placard and 6×13″ rear placard. 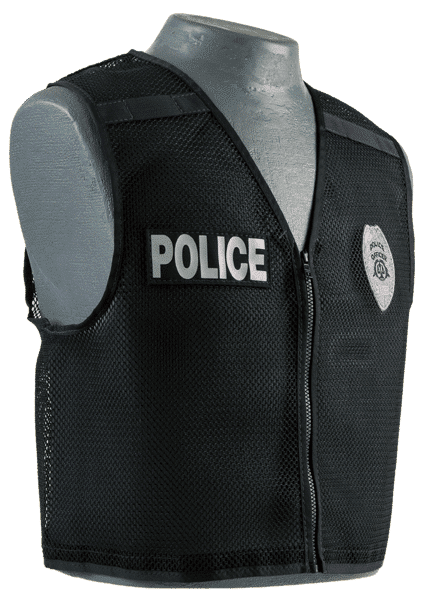 Our High Visibility Identification Vest is made from fluorescent yellow 100% Polyester Raschel Mesh, double layers of 1000 denier Cordura nylon, and optional 2” wide silver reflective tape. This vest is available in RC150, 250, and 350 styles. Optional features include rear lacing for added adjustability. We also offer high profile split front placards; this option eliminates the small utility pocket on the RC350. We fully customize placard lettering and styles to meet your specific agency requirements.